Looking for the organizing committee of the 2019 MARVEL Junior Retreat! Would you like to organize the fifth MARVEL Junior Retreat next summer? 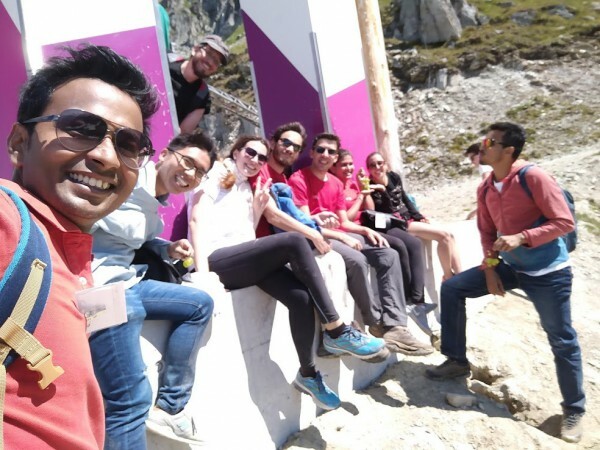 Read about the 2018 retreat that took place in Fieschertal, Valais and get a taste of this special event! Participants to the 2018 MARVEL Junior Retreat. 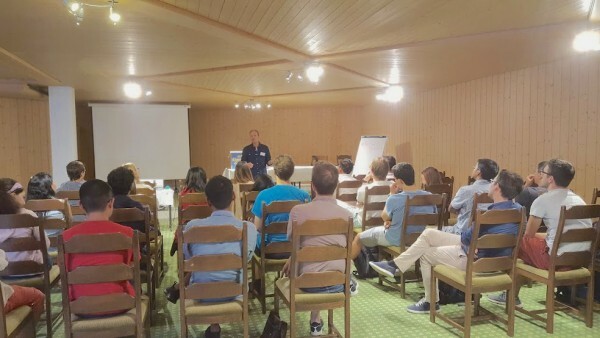 The four-day MARVEL Junior Retreat which took place on July 17-20, 2018 at Hotel Alpenblick in Fieschertal, Valais was attended by 33 participants from the MARVEL community, including 15 Postdocs, 13 PhD students and 5 INSPIRE Potentials Master students. 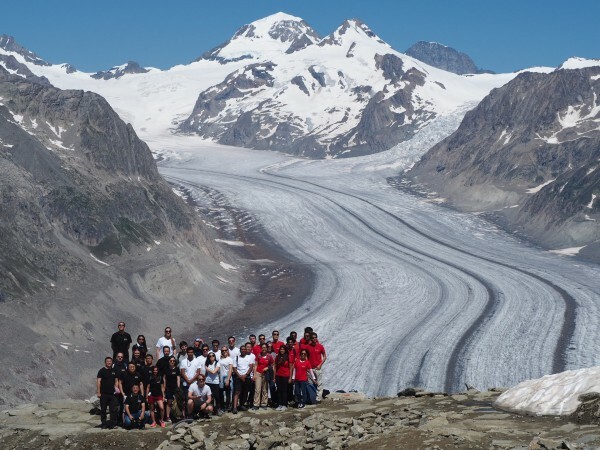 The Junior Retreat was organized by José A. Flores-Livas, Postdoc in the group of Stefan Goedecker at Uni Basel, and Patrick Gono, PhD student in the group of Alfredo Pasquarello at EPFL. This year, the retreat was planned in a workshop style. First of all, in order to set up a relaxed and informal atmosphere, all participants briefly introduced themselves with one or two slides each, presenting their research as well as personal interests, origin, hobbies, etc. Then, the program included a set of four carefully selected keynote speeches, aimed at improving research skills and professional development. Thomas Wagnières presented a mini-workshop tutorial followed by a hands-on session on presentation skills, addressing how to become more natural speakers, convey ideas with clarity, create inspiring presentations. Sibylla Martinelli from Euresearch sketched the landscape of EU funding available to Postdoctoral researchers, with a focus on the Marie Curie individual grants as well as the ERC starting grants. J. Kay Dewhurst (Max-Planck Halle), presented a lecture on the density functional theory, guided the audience through the GW approximation and connected ideas to the ab-initio description of superconductivity, giving students the opportunity to ask whatever they wanted about DFT. Finally, Andris Gulans (Humboldt-Universität zu Berlin), who is the main developer of the exciting DFT code, introduced the NOMAD repository and its role in storing, sharing, and analyzing computational data in materials science. In addition to these extremely well-received keynote talks, 12 contributed lectures of 20 min were carefully selected among the participants by seeking a good balance of research groups, gender as well as master students, PhDs and postdocs. Other activities were organized in order to foster friendly relations between different groups in the MARVEL community. 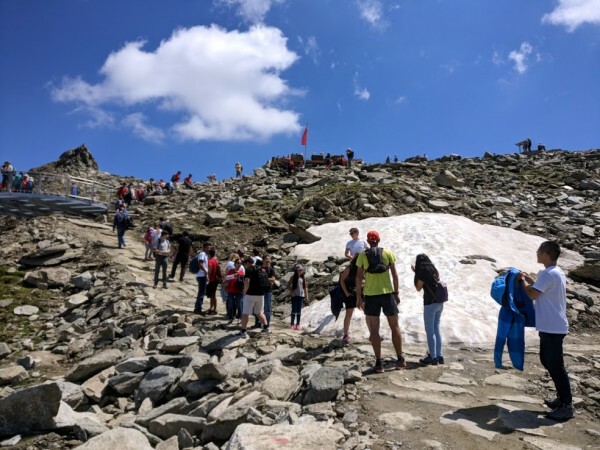 Apart from group dinners, an excursion to the Aletsch glacier, scientific discussions in the sauna and by the pool, a round table discussion took place. Among the discussed topics were: (in)equality of women in science and the role of projects like the INSPIRE Potentials, funding of science in general, problems related to co-authorship, and the importance of the peer review process in ensuring quality science. The discussion has brought these topics to attention and will hopefully help the participants not only do good research, but also create a fair a environment for future scientists. Overall, this retreat was a unique chance for junior scientists under the umbrella of MARVEL to get to know each other, get inspired and learn. An independent and unbiased questionnaire was available online after the event in order to receive feedback from the attendees. The feedback was overwhelmingly positive, the majority of the participants being determined to attend the next edition. The most quoted highlights were the social activities, the friendly atmosphere, the variety of the invited talks, their good quality, and the opportunity brought to junior members to present their work. Are you interested in joining the team and organizing the 2019 MARVEL Junior Retreat next summer? Please contact Patrick Mayor as soon as possible. The call for volunteers is now open! Story by José A. Flores-Lives and Patrick Gono. Edited by Patrick Mayor.